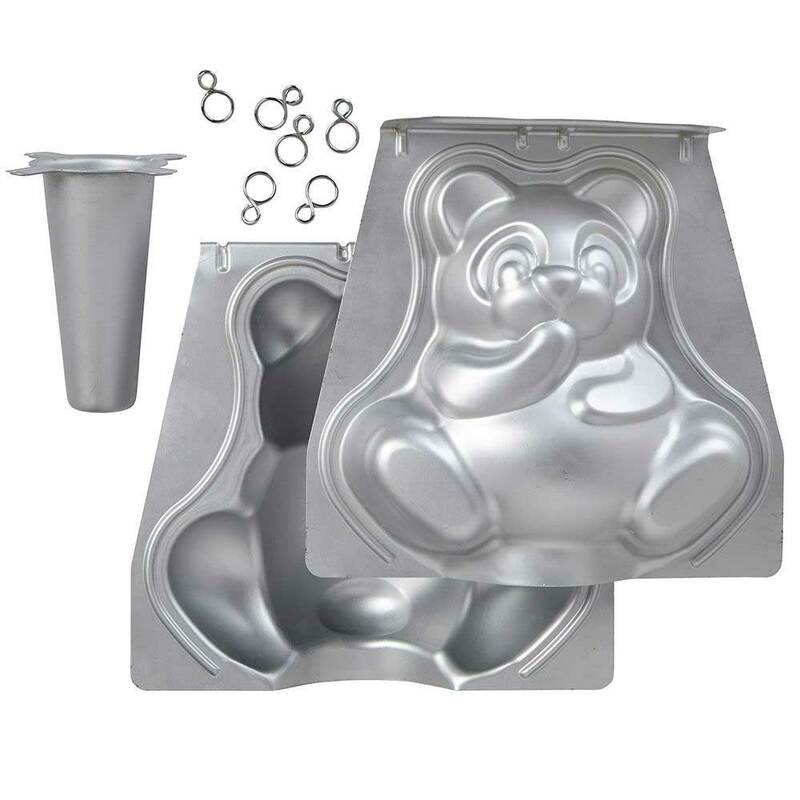 Brand: Wilton 2105-603 Units: 1 3D pan set / pkg. Dimensions: 10" wide x 11¼" long x 5" deep Aluminum. Set includes 2 piece pan, 6 clips, heat-conducting core, and instructions. Aluminum. Set includes 2 piece pan, 6 clips, heat-conducting core, and instructions.